If you're looking for an accessory to rattle the cage, try this ring on for size. A bold, freeform Herkimer "diamond" quartz cut in an edgy cage design leaps to the front of your look and is ready to take on the spotlight. This atypically beautiful quartz requires a brave fashionista like you to lead the way. I've bought Herkimer "diamonds" before but always sent them back. I don't understand the big deal. But this ring is unique. and when I wear it, In fascinated in at and love playing with it. 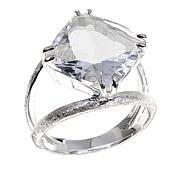 The look of the ring has a very cool, chic vibe, but the stone was so small it literally fell out of the ring within an hour of wearing. Luckily I was sitting down when it happened! 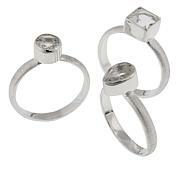 I was attracted to the unusual style of the ring, but within an hour the stone was gone, very disappointed. I would not recommend buying this style. Received the ring, wore it to bed. Awoke the next morning, no "diamond " in the cage. Getting replacement. Hoping this "diamond " doesn't escape. Love the look as I like the unusual. The stone had some rough edges, which disappointed me. Felt a reject stone was used. Cool look but over priced. 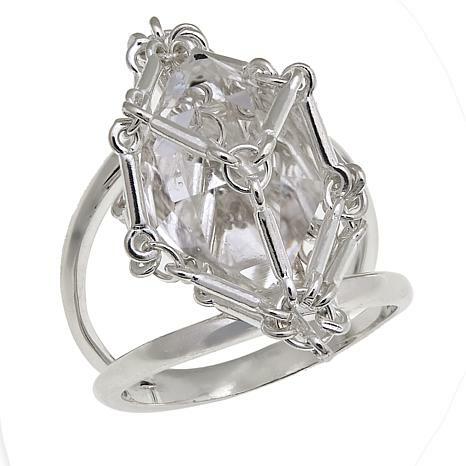 This ring has a cool look, but the cage appears fragile and wire much thinner than in the photo or as shown on tv. I might keep if it was about a third of the price. 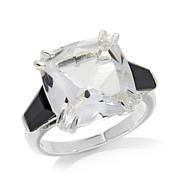 $99.00 seems way too high for this ring.